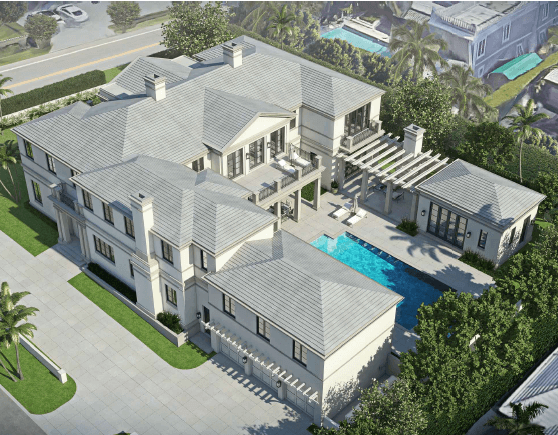 BridgeInvest, a leading real estate lender in the Southeast US, closed an $11,500,000 acquisition and construction loan for a to-be-built 11,500 SF ultra-luxury home in Palm Beach, Florida. The proposed house will include a theater, game room, library and pool house. The site benefits from direct ocean views, enhanced by a favorable elevation, and private beach access. The property is located in an exclusive, high-end, estate area of Palm Beach, bordered by the Everglades Club to the north and Mar-a-Lago to the south. The asset is a naturally niche product due to its location and price point, necessitating bespoke underwriting that traditional lenders could not provide. The construction loan was structured to provide the borrower with flexibility to pursue several possible business plans and exit strategies. BridgeInvest closed the loan in just three weeks enabling the borrower to execute on a purchase contract with a rapidly approaching expiration date.